YUSUFALI: Concerning what are they disputing? PICKTHAL: Whereof do they question one another? SHAKIR: Of what do they ask one another? YUSUFALI: About which they cannot agree. PICKTHAL: Concerning which they are in disagreement. SHAKIR: About which they differ? YUSUFALI: Verily, they shall soon (come to) know! PICKTHAL: Nay, but they will come to know! YUSUFALI: Verily, verily they shall soon (come to) know! PICKTHAL: Nay, again, but they will come to know! SHAKIR: Nay! Nay! they shall soon know. SHAKIR: Have We not made the earth an even expanse? YUSUFALI: And the mountains as pegs? PICKTHAL: And the high hills bulwarks? YUSUFALI: And made the day as a means of subsistence? PICKTHAL: And have appointed the day for livelihood. SHAKIR: And We made the day for seeking livelihood. YUSUFALI: And placed (therein) a Light of Splendour? YUSUFALI: And gardens of luxurious growth? PICKTHAL: And gardens of thick foliage. SHAKIR: And gardens dense and luxuriant. YUSUFALI: And the mountains shall vanish, as if they were a mirage. PICKTHAL: And the hills are set in motion and become as a mirage. SHAKIR: And the mountains shall be moved off so that they shall remain a mere semblance. PICKTHAL: A home for the rebellious. YUSUFALI: They will dwell therein for ages. PICKTHAL: They will abide therein for ages. SHAKIR: Living therein for ages. YUSUFALI: A fitting recompense (for them). PICKTHAL: Reward proportioned (to their evil deeds). YUSUFALI: But they (impudently) treated Our Signs as false. PICKTHAL: They called Our revelations false with strong denial. SHAKIR: And called Our communications a lie, giving the lie (to the truth). YUSUFALI: And all things have We preserved on record. PICKTHAL: Everything have We recorded in a Book. YUSUFALI: "So taste ye (the fruits of your deeds); for no increase shall We grant you, except in Punishment." PICKTHAL: So taste (of that which ye have earned). No increase do We give you save of torment. SHAKIR: So taste! for We will not add to you aught but chastisement. YUSUFALI: And a cup full (to the brim). PICKTHAL: And a full cup. SHAKIR: And a pure cup. 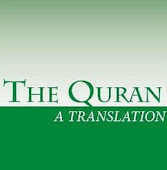 SHAKIR: They shall not hear therein any vain words nor lying. YUSUFALI: (From) the Lord of the heavens and the earth, and all between, (Allah) Most Gracious: None shall have power to argue with Him. PICKTHAL: Lord of the heavens and the earth, and (all) that is between them, the Beneficent; with Whom none can converse. SHAKIR: The Lord of the heavens and the earth and what is between them, the Beneficent Allah, they shall not be able to address Him. YUSUFALI: The Day that the Spirit and the angels will stand forth in ranks, none shall speak except any who is permitted by (Allah) Most Gracious, and He will say what is right. PICKTHAL: On the day when the angels and the Spirit stand arrayed, they speak not, saving him whom the Beneficent alloweth and who speaketh right. SHAKIR: The day on which the spirit and the angels shall stand in ranks; they shall not speak except he whom the Beneficent Allah permits and who speaks the right thing. YUSUFALI: That Day will be the sure Reality: Therefore, whoso will, let him take a (straight) return to his Lord! PICKTHAL: That is the True Day. So whoso will should seek recourse unto his Lord. SHAKIR: That is the sure day, so whoever desires may take refuge with his Lord. YUSUFALI: Verily, We have warned you of a Penalty near, the Day when man will see (the deeds) which his hands have sent forth, and the Unbeliever will say, "Woe unto me! Would that I were (metre) dust!" PICKTHAL: Lo! We warn you of a doom at hand, a day whereon a man will look on that which his own hands have sent before, and the disbeliever will cry: "Would that I were dust!" SHAKIR: Surely We have warned you of a chastisement near at hand: the day when man shall see what his two hands have sent before, and the unbeliever shall say: O! would that I were dust!